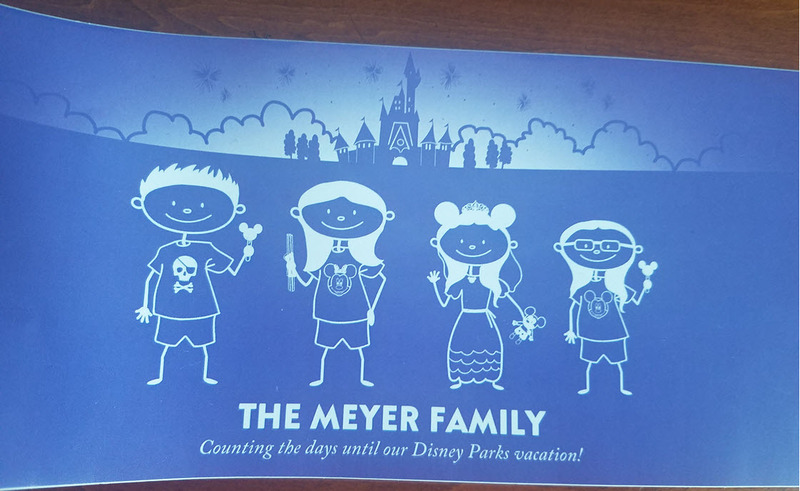 Disney has launched a new site in keeping with its “Show Your Disney Side” where you can build your Disney Family and then they will send you the decal for free. The site is running REALLY slowly right now–likely because so many people are trying to get to it. But don’t give up! It may seem like it is stuck on certain screens but just keep trying. Even if it looks like the page is not able to advance any further, just wait a few minutes and click on the “continue” button again. There were pages where I had to click on it up to 10 times over the period of a few minutes to get it to advance. Is the Disney Decal really free or is there a trick? I went through the whole process and it is really free! Using the site you can tailor each stick figure to a person in your family. Choose from Adult, Teen, Child, Toddler, or Pet. Certain customizations you can get just for visiting the site and others require you to put in your email address and agree to their terms to access. I’m already on all of their lists, so I had no problem giving them my information again. And I needed the “extra items” to be able to give myself the churro. Next you can choose your background. They of course have the castle from Magic Kingdom but also Disneyland, Disney Studios, Animal Kingdom, and EPCOT. After that you name your family along with a caption. There are only a few of these to choose from or you can skip it. Limit one per household. Not sure when is is going to end so grab it soon! I have to say this is brilliant marketing for Disney. How much can these decals cost? And imagine how many people will have them on the back of their cars in the next couple of weeks. never finished process…very limited choices. We always wear/ collect villain stuff…nothing avail that matched that. Thanks Tricia! We’re Disney geeks out here and I just went through the process. Very fun, and great marketing from the Mouse! Thank you! Just ordered a decal for my family!